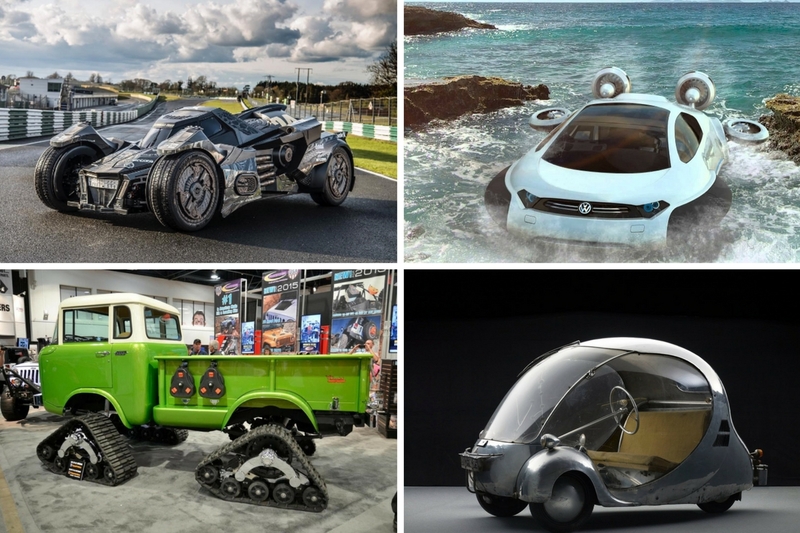 12 Craziest Cars Ever Built..Will You Ride One of Them? We are so lucky to be living in this day and age. Gone are the days when we have to travel by foot or via an animal ride. We can now travel comfortably and even luxuriously. But there are some people with wild imaginations who pushed the limits when it came to designing cars. It’s pretty amazing what these imaginative people came up with. We wonder if you would dare ride these things but just for the fun of it, let’s take a look at some of the craziest cars ever built. 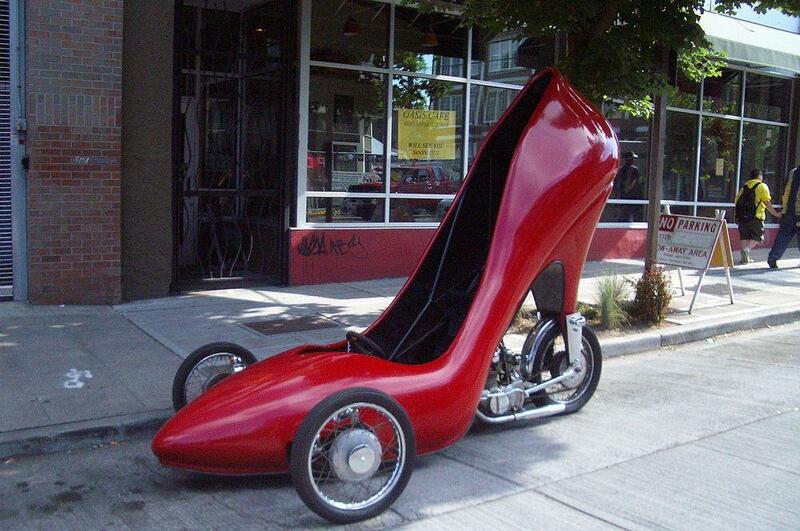 If Miranda Priestly was to have a crazy ride this would probably be it. This ride definitely screams The Devil Wears Prada and is fit for a diva. But we doubt it’s something comfortable and hair friendly if you know what I mean. But it’s definitely eye-catching and fun to look at. For those girls who love wearing killer stilettos, it’s heels minus the pain. 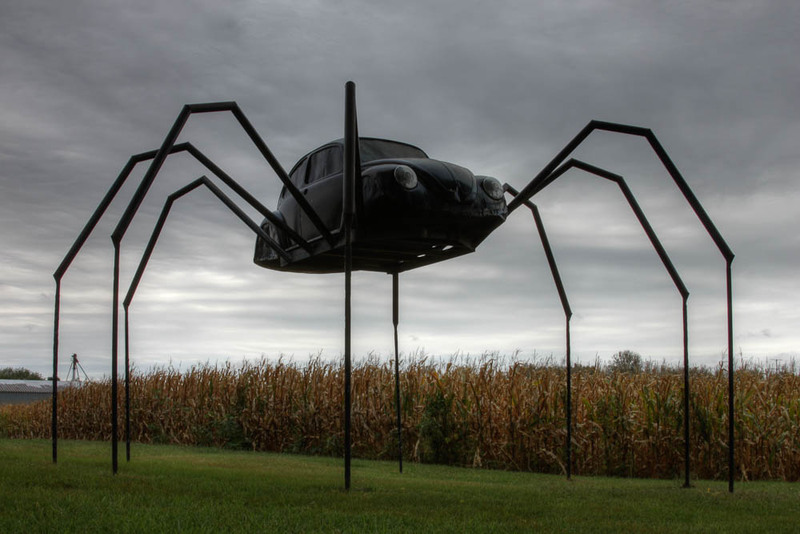 This black spider car looks like the perfect ride for spiderman. But this car doesn’t actually run. Duh! This was just the product of a bored person with too much time with an old unused car lying around. A blacksmith and fire artist created this masterpiece. 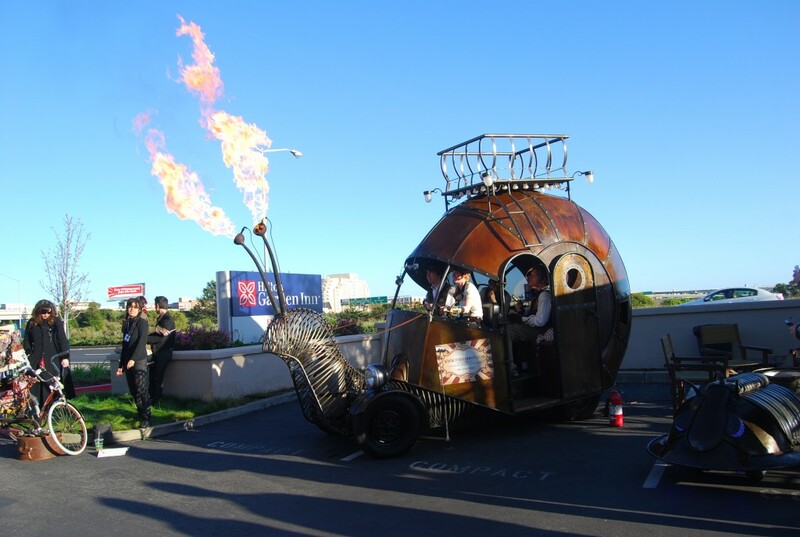 This amazing art car has flame-emitting feelers on the front and is dubbed as The Golden Mean. It also glows in the dark and can comfortably seat six people. It took six years to complete this mean machine but after it was done, everything was well worth it. It’s definitely one-of-a-kind. We just hope it runs faster than an actual snail. 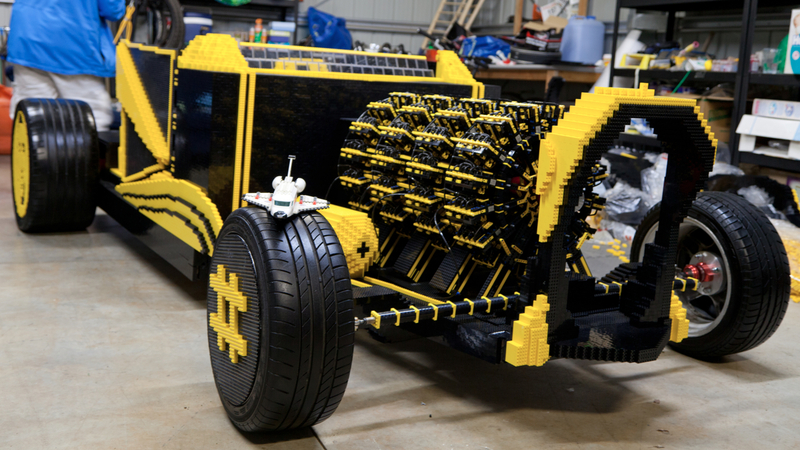 This life-size Lego car is every lego lovers dream. Legos are such versatile toys that you could practically build anything out of it. The engine is made from standard Lego pieces and runs on air! It’s made up of more than 500,000 Lego pieces with a top speed of around 20-30km. We wouldn’t want the precious thing to fall to pieces. This crazy bus looks like something out of a movie. 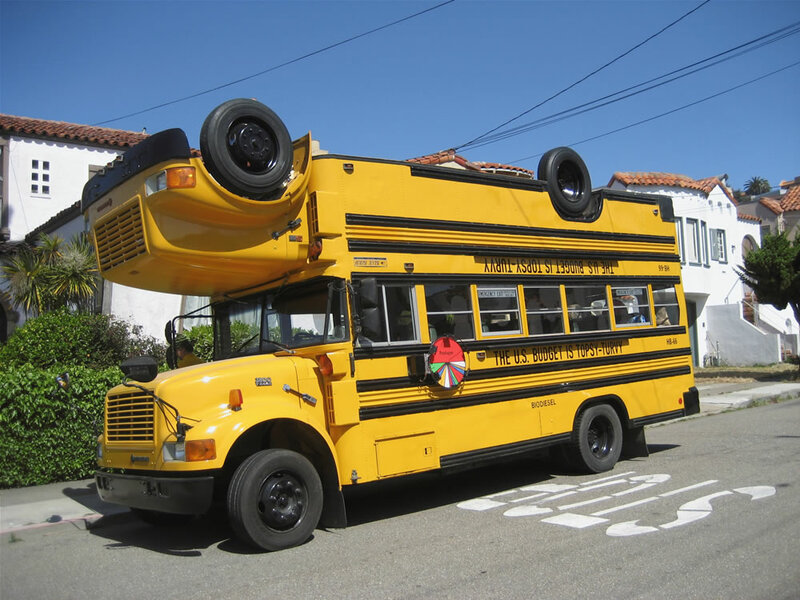 It may feel like you’re having a bad headache just looking at this bus but this is for real. This is a functioning bus and is used on a cross-country tour. It’s a traveling educational vehicle so the school bus appearance perfectly fits the theme. Watch out, you might see it near you.